You are here: Home › Saltwater Destinations › Venezuela › We are currently NOT traveling to Venezuela! 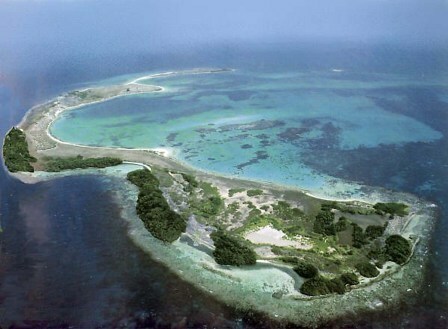 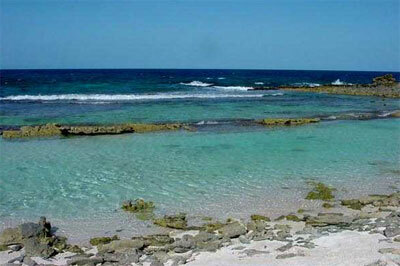 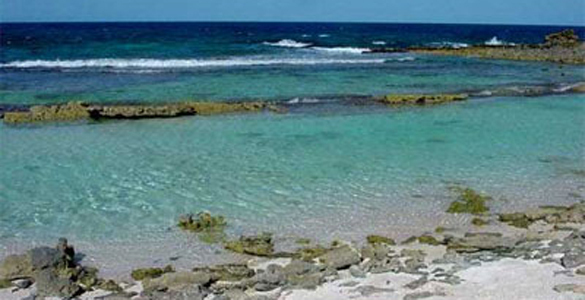 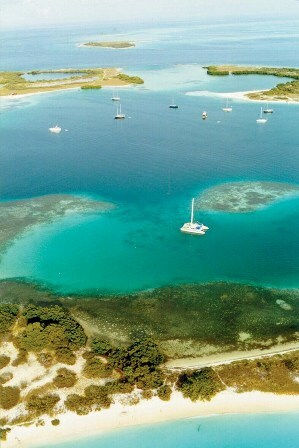 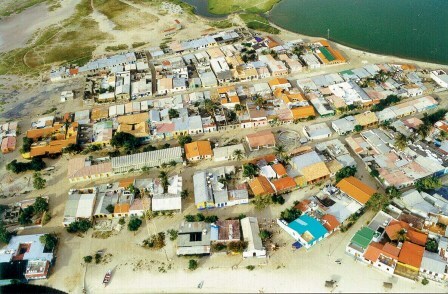 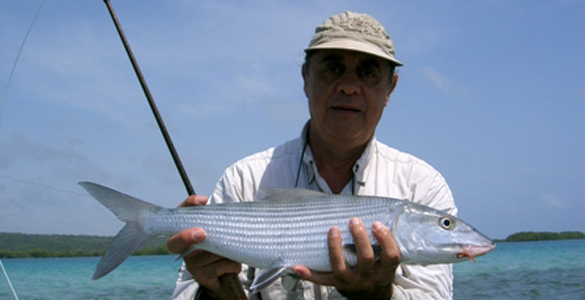 Los Roques is one of the most famous destination for bonefish in the world. 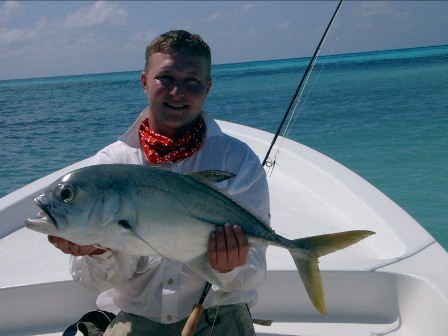 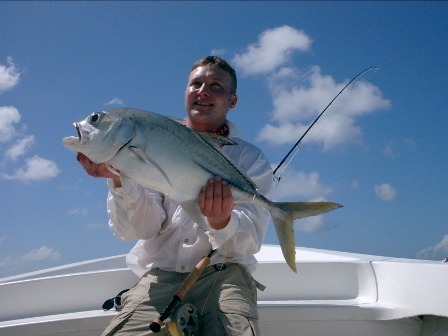 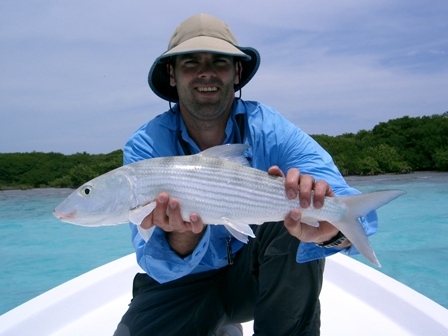 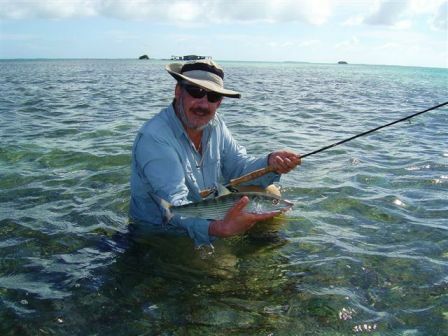 It ranks right along side the worlds elite fly fishing destinations like the Seychelles and Christmas Island. 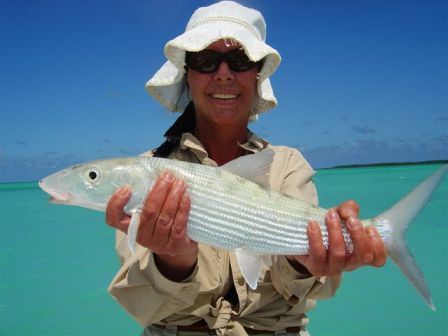 Much easier to get to than the others Los Roques is benefiting from 25 years of National Park status which means bigger and more bonefish now than ever before. 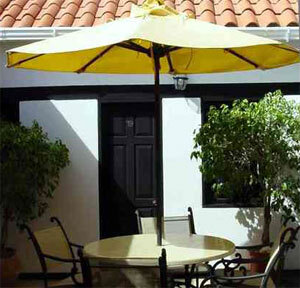 Your vacation begins when you are met by our staff at the Caracas Airport which is actually over an hour away frm Caracas and quite safe. 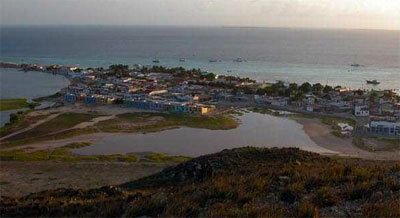 Will will stay at the one of the hotels at the airport in preparation for the eaarly morning flight to Los Roques. 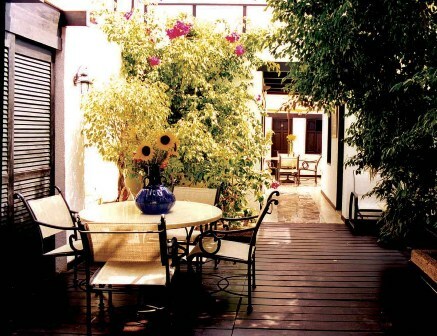 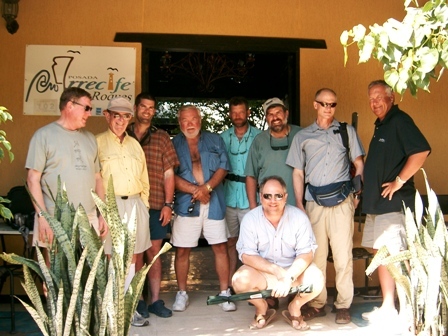 After a 35 minute flight you will arrive at your Lodge known as Posada Aricefe. 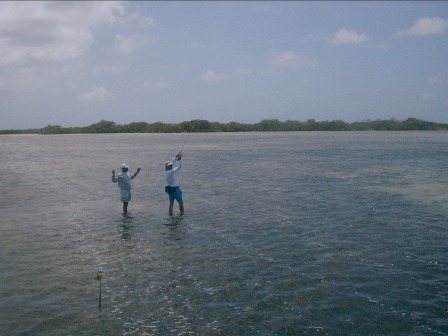 The guides are ready to go when you are and the flats are 20 minutes to 1 hour away. 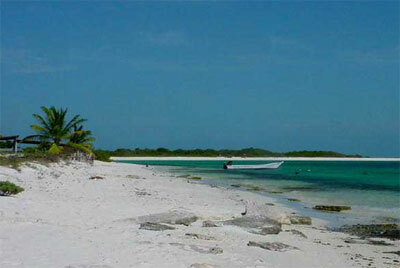 Los Roques is actually a collection of 48 different islands which are almost all unihabited. 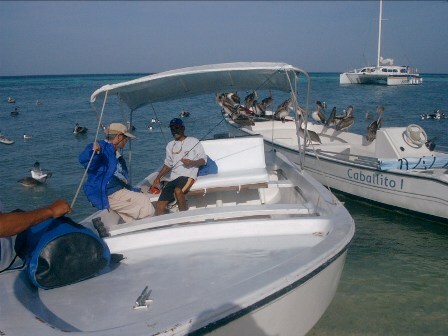 We use sea worthy 28 foot skiffs to get to and from the flats. 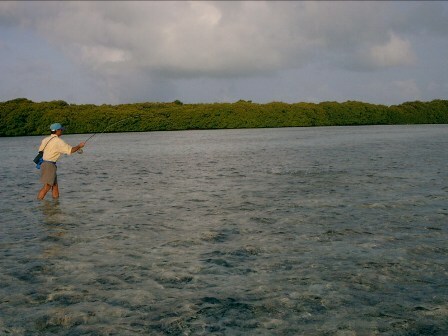 Alll the fishing is by wading. 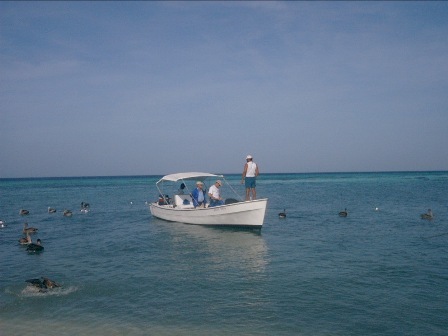 The boat will have a captain who will pick you up when the guide gives teh signal. 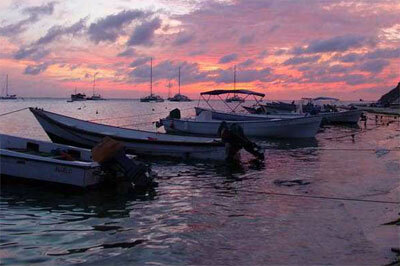 No need to trudge back to where the boat was anchored , it comes to you. 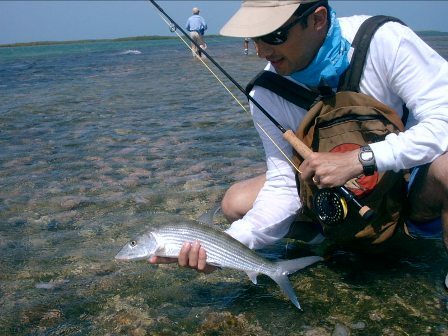 Bonefish are the main quarry but there are tarpon, snook, barracua, jacks, permt and countless other species that will come to a fly. 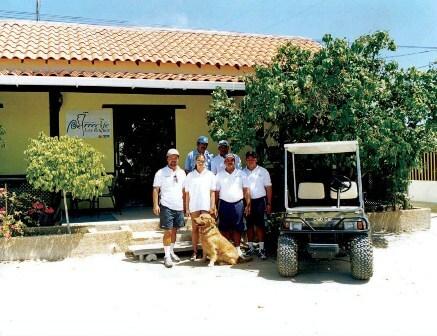 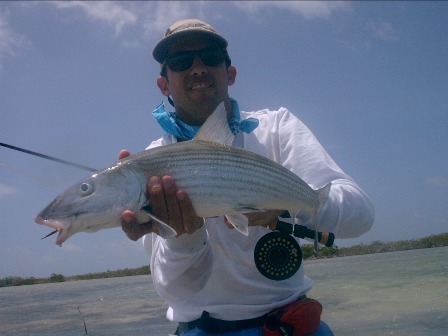 Los Roques fly fishing – Fly Fishing Heaven style! 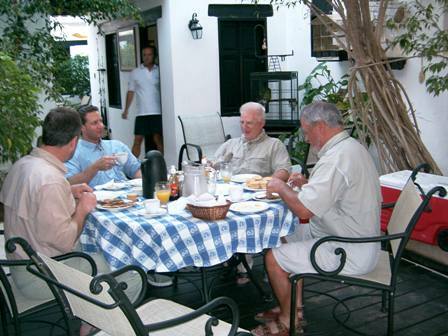 Our lodge is actually a small hotel that we rent while we have fishermen on board. 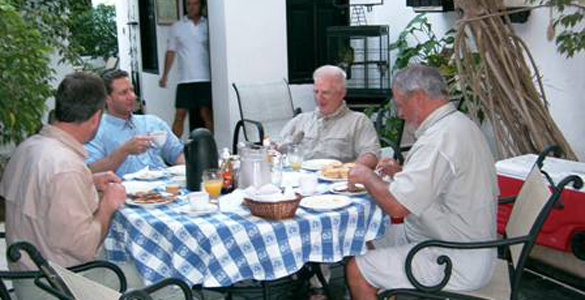 They provide all the meals for us and it is the nicest place the island. 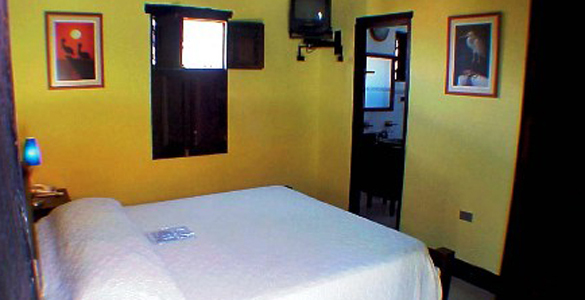 It has 5 rooms with air conditioning and double or single beds. 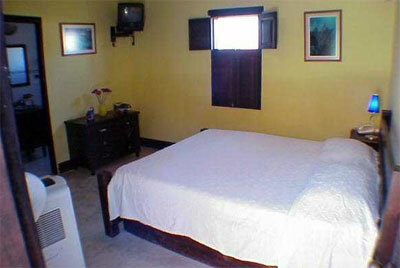 The rooms are tastefully decorated with many diving and bird photos of the area. 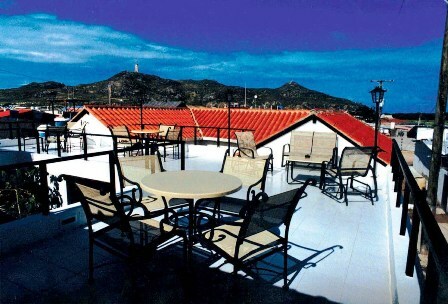 The food is prepared in the open bar area and most meals are served outdoors on the rooftop terrace. 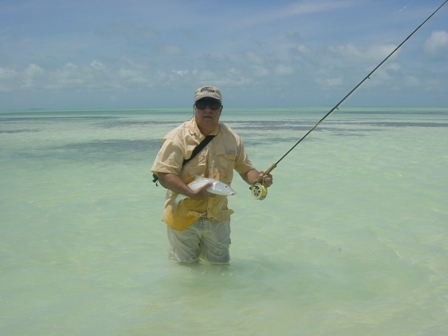 Of course there is a lot of seafood as well as a daily selection of non seafood items. 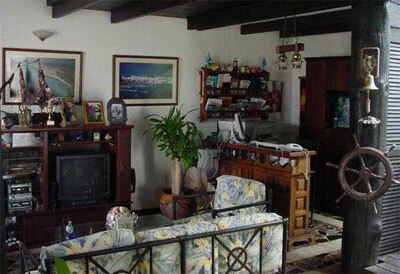 It is an international collection of foods and recipes. 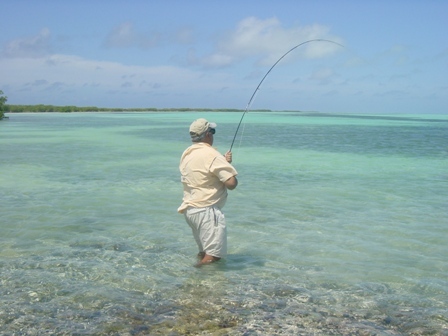 Los Roques fly fishing is legendary. 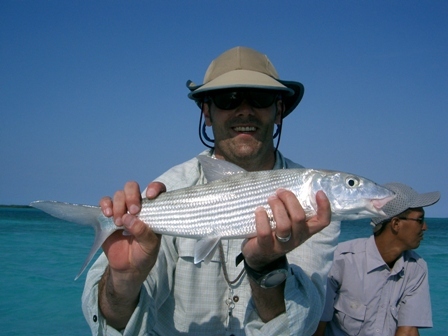 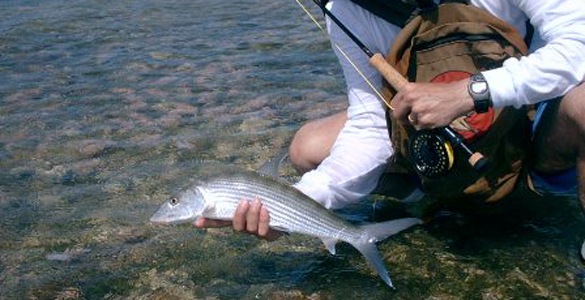 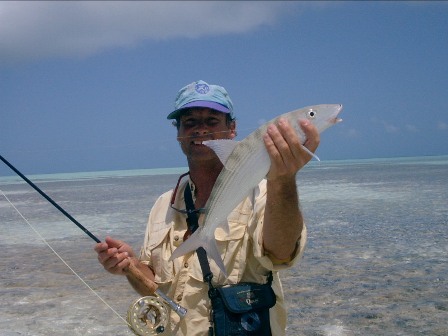 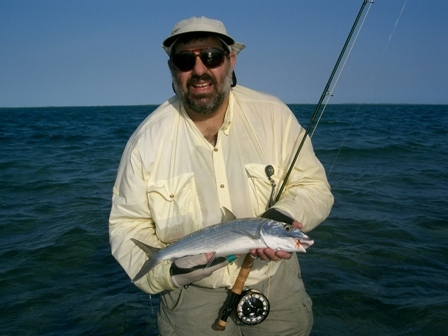 There are now more bonefish here than ever before and sizes range from 2-12 pounds. 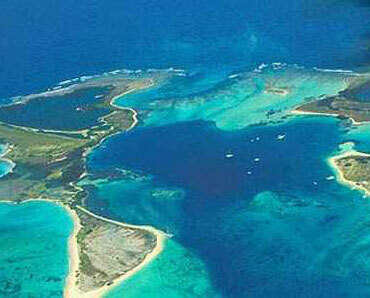 Much bigger than Ascension Bay or Belize and on par with some of the Bahamas. 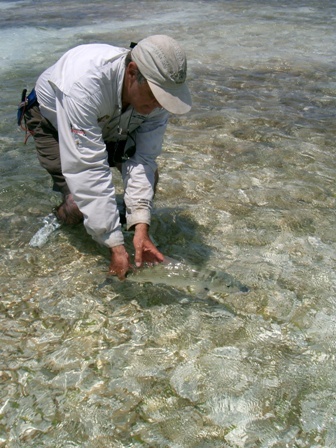 These fish just receive a lot less pressure! 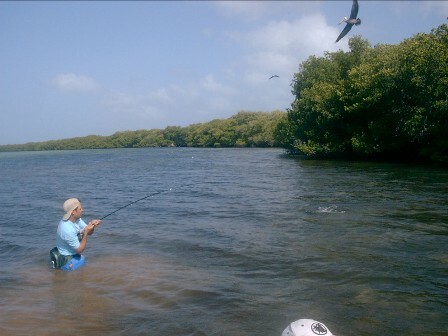 All the fishing is wading so you ge more fishing in than fishing from the boat, all the anglers are fishing 100% of the time. 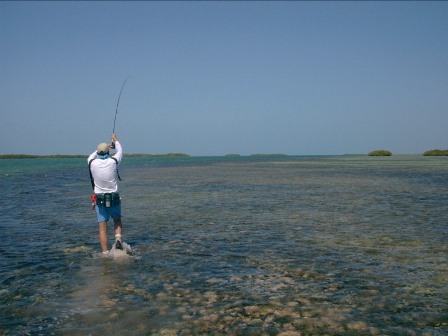 Like Christmas Island, this wade only approach saves flats from prop scars and allow both fishermen to be fishing the entire time . 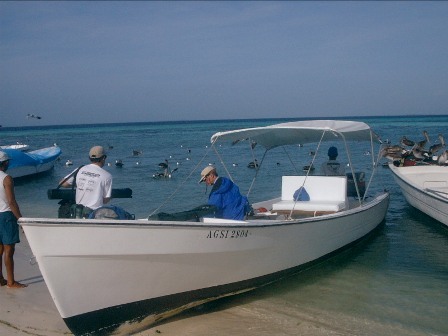 We use sea worthy 28 foot skiffs to get to and from the flats. 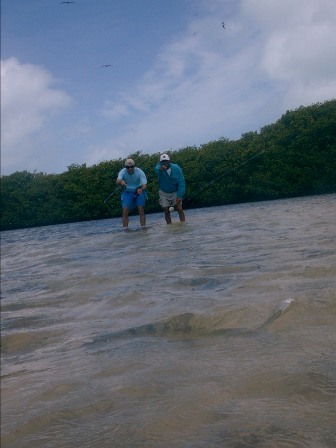 Alll the fishing is by wading. 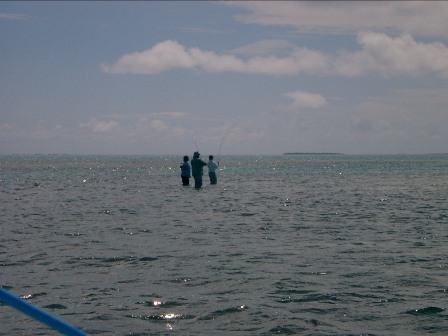 The boat will have a captain who will pick you up when the guide gives teh signal. 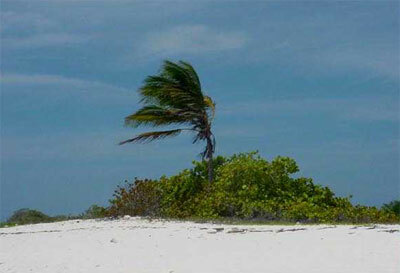 No need to trudge back to where the boat was anchored , it comes to you. 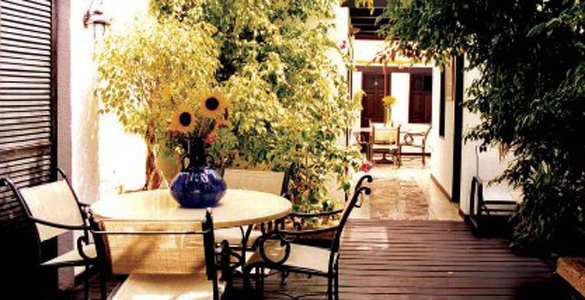 Prices Include: Meeting byour representative at Int. 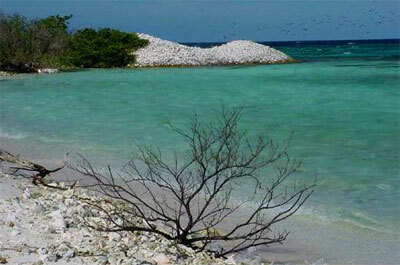 Airport Caracas ( English speaking guide). 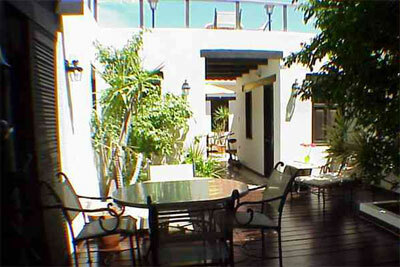 – First and last overnights double occupancy rooms at Eurobuilding Hotel (5 minutes from the airport). 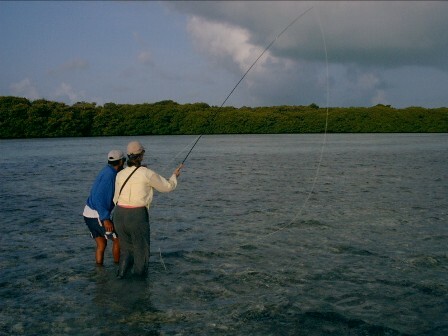 – Boat, fishing captain and guide (two anglers per boat). 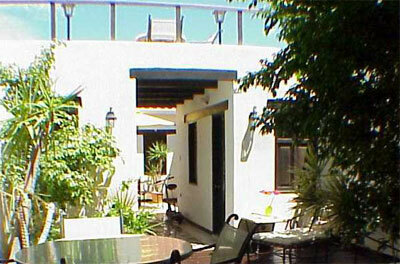 Prices quoted are per person and in US dollars. Why book through Flyfishingheaven.com when I can book direct? 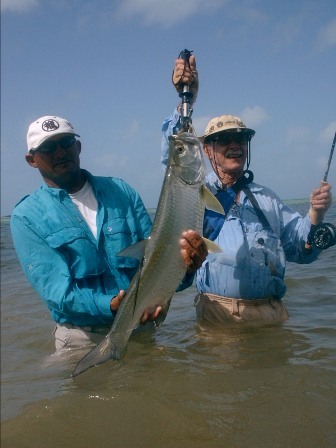 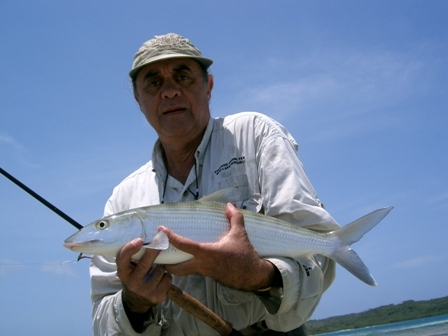 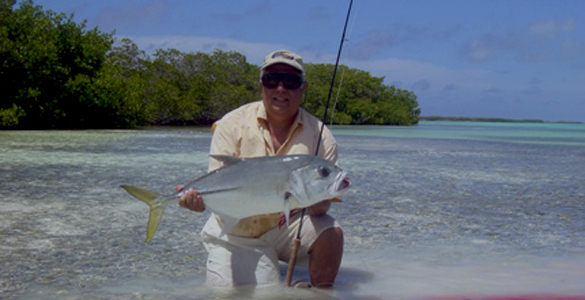 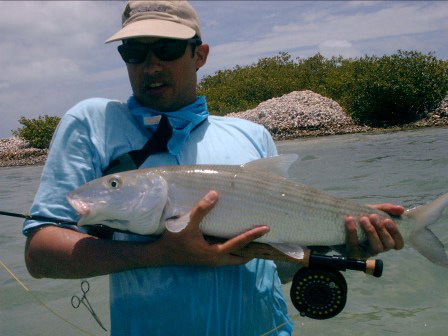 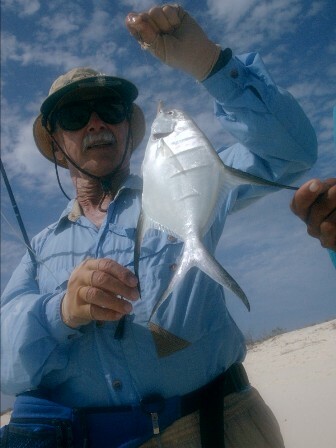 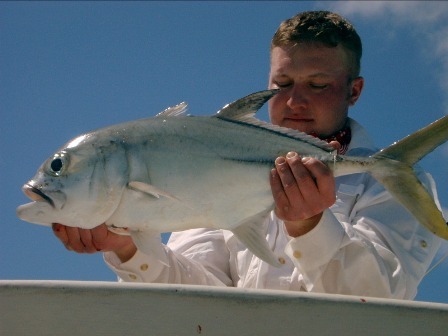 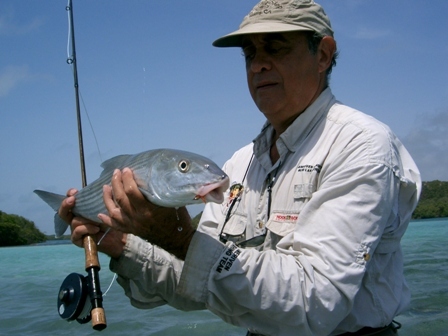 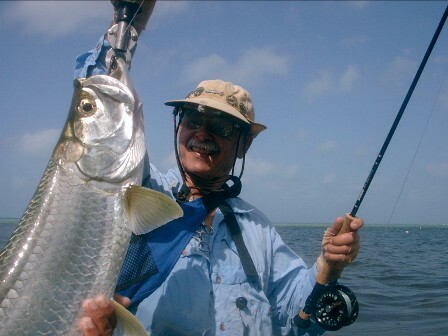 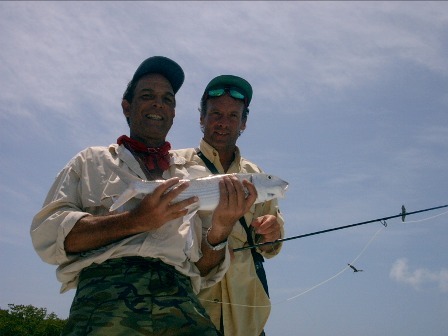 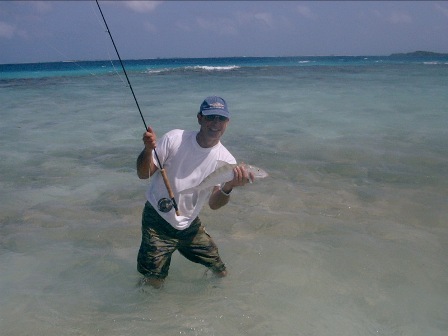 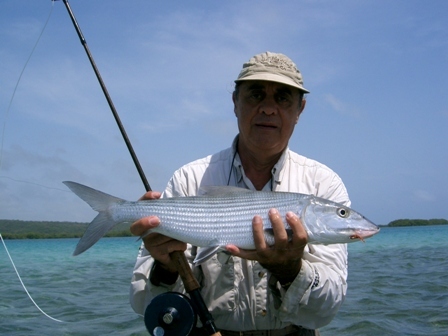 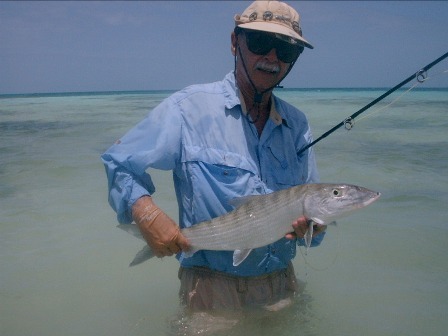 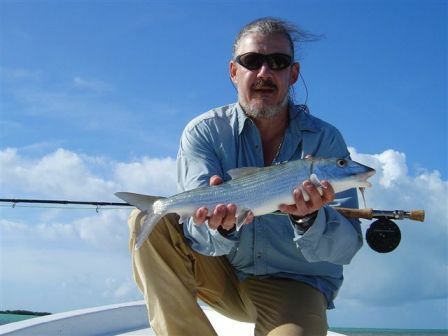 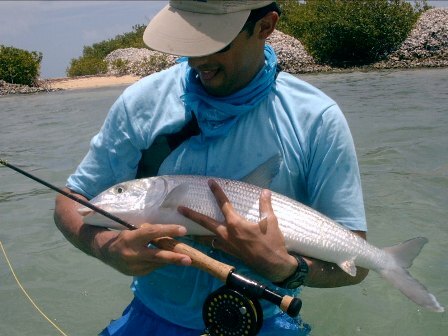 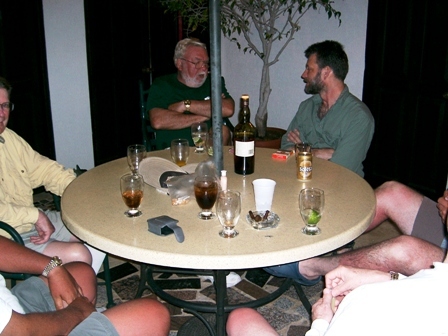 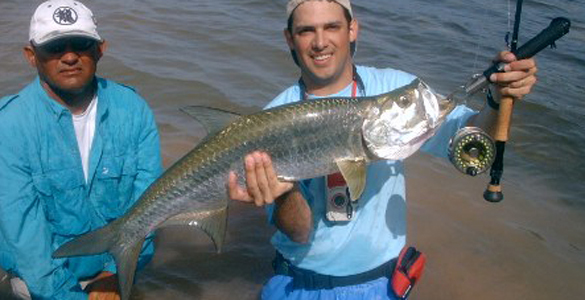 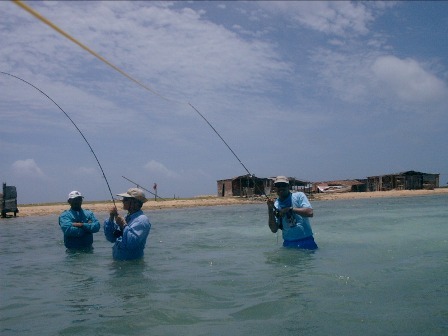 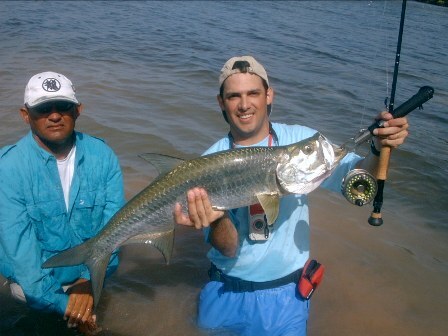 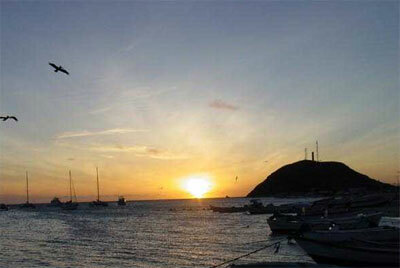 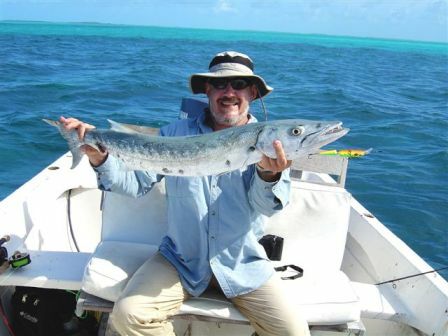 Please take a look at the photo and video galleries related to Los Roques fly fishing. 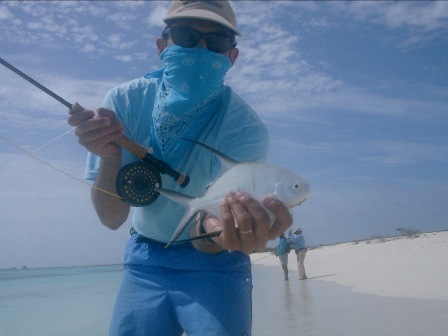 Fly Fishing Los Roques has tons of beaches, great fishing, great divin, sailing, a little shopping, turtle Sanctuary, wind surfing and more beach combing. 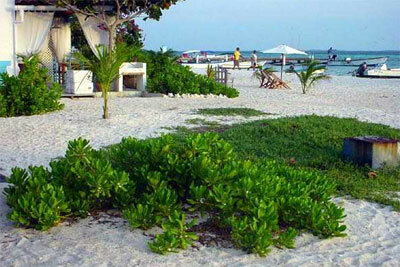 Lots of easy going things to do if you want to enjoy a quiet simple vacation in a beautiful area of the world.